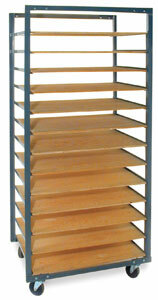 With 13 or 26 shelf divisions, these trucks are more versatile than any other racks available. They're constructed of heavy-duty angle iron with centers of 5" (13 cm) between divisions. 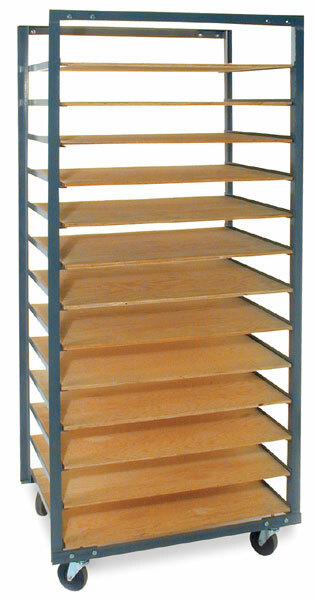 Each truck ismounted on 6" (15 cm) casters.  Bailey is a trademark.